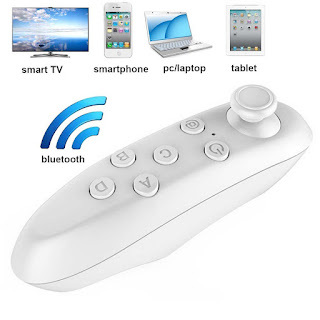 VR Remote Control, IVSO Bluetooth Gamepad Remote Controller Compatible with Android for Samsung Gear VR, Smart Phones, Tablets, PC - Easy control for selfie, video, music, mouse, Ebook, game, VR. 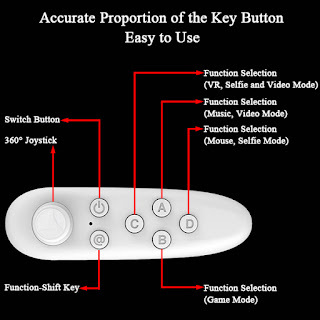 a : Function switching button. 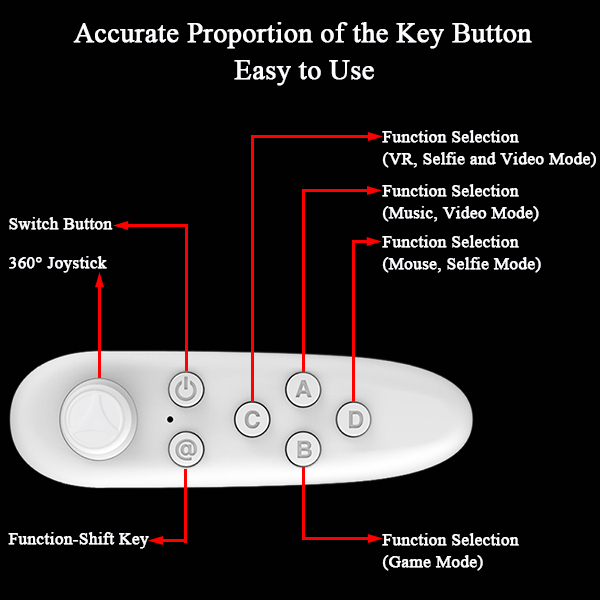 Mouse mode: + D mouse mode can be freely controlled by remote sensing, confirmed the launch, fast forward, rewind, etc. Entertainment Mode: + A music mode. 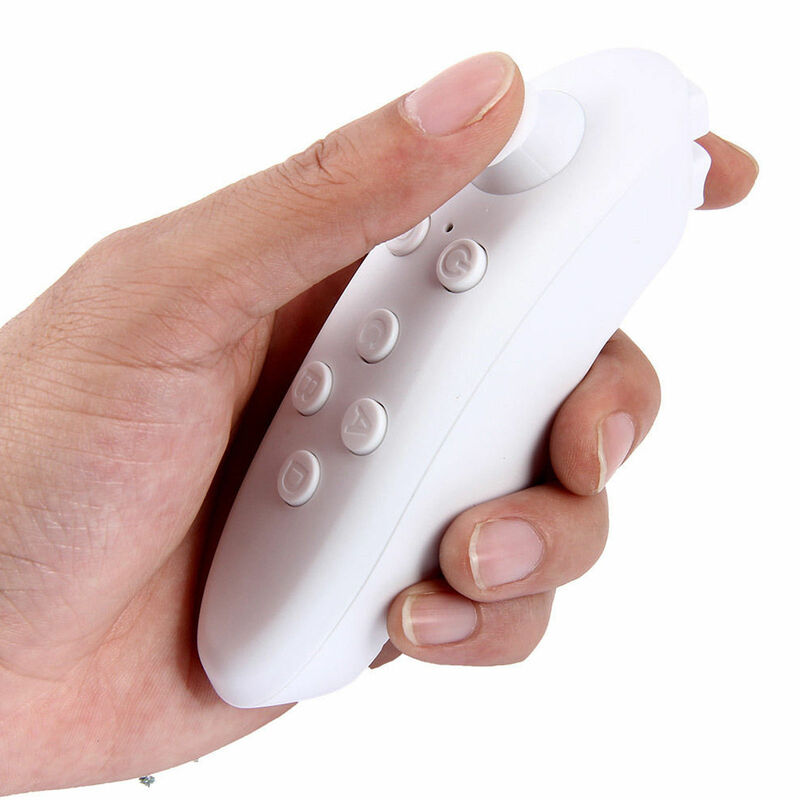 By remote control you can directly start playing music, adjust the volume, down song. 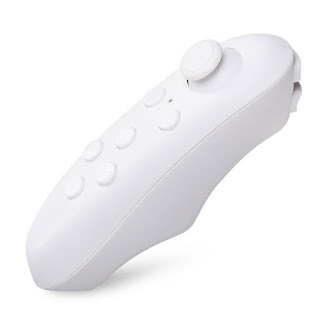 Horizontal operation: + B lateral grip mode. Game modes. You may cross shake hands to operate the remote control, remote control switches direction, suitable for playing mobile games. Vertical operation: + C vertical mode. One-handed operation, remote sensing can be used in a mobile phone interface selection, confirm or quit. Turn on the bluetooth of your mobile phone. Choose Your Device and connect.